For Kevin Pannier, the most important thing as a pastry chef is flavor and taste. 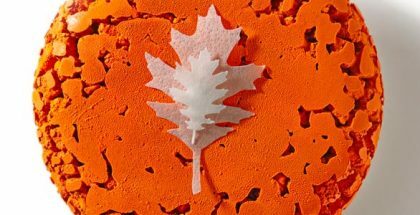 Since the end of 2017, he looks to attract guests of the luxurious five-star Mandarin Oriental hotel with impeccable creations such as the Catalonia, whose recipe we detail in this article. 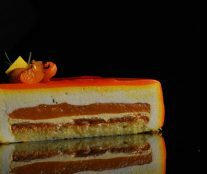 On a technical level, the French chef decided to use Almond Mousse made with Lubecca Marzipan that “brings a very strong taste of almond to the cake in the finish”. In a mixing bowl, whisk the white egg with the sugar. 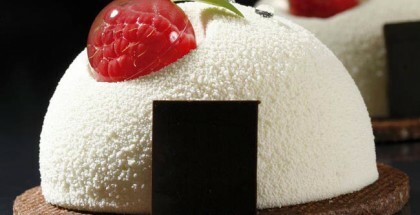 Carefully add the sifted icing sugar, Almond Powder and the Flour T55. Spread the Mixture in a ring of 14 cm. Bake in a fan oven at 200°C for 11 minutes. Wash and cut half your Apricot. Mix with the sugar and add in a GN1/1 container. Add small cubes of butter on top of your apricot. Bake in a fan oven at 200°C for 10 minutes. 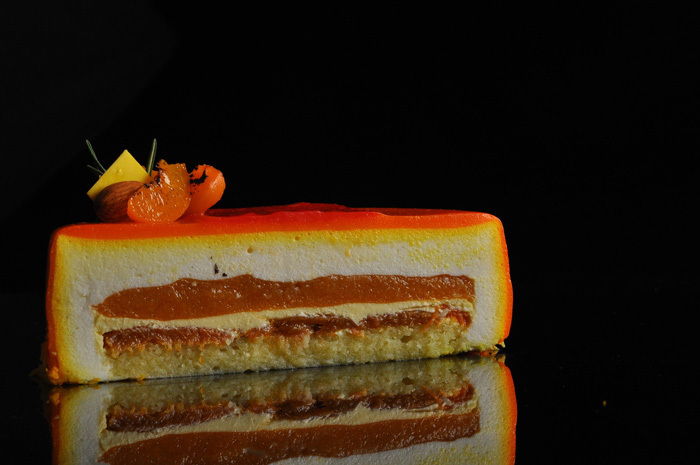 After cooking, add 55 g of this baked apricot on top of your almond dacquoise. Keep infusing in cold for 24 hours the rosemary in the cream. In a pan, heat the cream until 80°C, add the mix of pectine and sugar and boil altogether. Add the Yolks. Strain the cream through stainless chinoise. Mix with a hand blender. Add 100 g on top of your baked apricot. In a Saucepan, heat at 80°C the milk and the vanilla beans. Then add the gelatin and the lubecca almond. Mix all with a hand blender and keep in the fridge until 30°C. Fold in the whipped cream. In rings of 18 cm diameter, fill to halfway the Lubecca Mousse then place into each center the insert. Smooth over to the level of the rings with remaining mousse and place in the rings into the freezer. 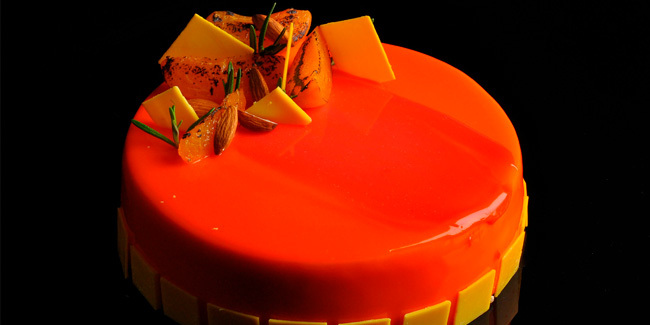 Unmold the entremets and glaze with an Orange Glaze. Decorate with roasted apricot, fresh rosemary, roasted almond and yellow square chocolate.